C.A. Hall, 1920s-1930s; C.A. 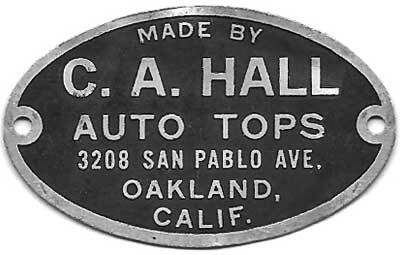 Hall Auto Tops, 1930s-1940s; Hall Auto Top Shop (aka Hall’s Top Shop), 1940s-1958; Oakland, Calif. 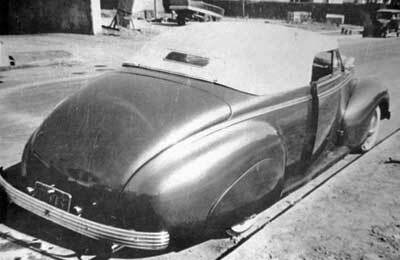 In Southern California two firms gained a reputation for constructing chopped, padded hardtops for custom cars in the decade immediately following the end of the Second World War. Glen Houser's Carson Top Shop, was the originator of the style, which was soon replicated by numerous firms of which Gaylord's was the second most well-known. In northern California, the go-to guy was Oakland’s Calvin A. Hall (b.1901-d. 1979). 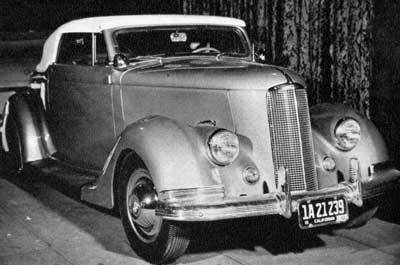 Hall was a seasoned veteran of the auto top business, having established his business during the early 1920s. 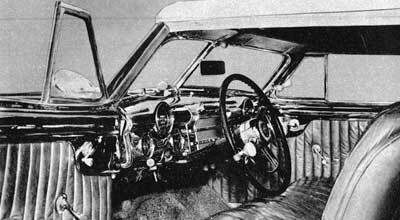 His worked changed with the times, and when local hot rodders wanted padded Carson-style tops, he supplied them. Calvin A. Hall was born on December 11, 1901 in Mink Creek, Idaho to Andrew G. and Martha Lavine (Olsen) Hall, his father was born in Denmark, his mother in Mantua, Box Elder County, Utah Territory. The 1910 US Census lists the family in Preston, Oneida County, Idaho and soon after they relocated to Oakland, Alameda County, California where Calvin was enrolled in the public schools, graduating from high school in 1918. 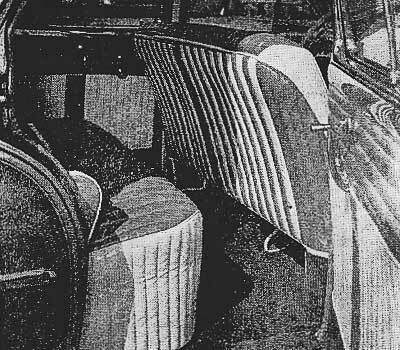 His first job was as a stage rigger at the Oakland shipyards and sometime during the early 1920s he took a position as an apprentice trimmer at the Victory Auto Painting and Top Co., at 901 E. 14th st., Oakland, Calif., whose principals included Jack Francis and Harry Barson. The 1930 US Census lists Calvin Sr. (29yo – occupation: top trimmer) his wife; Myrtle Grace (27 yo b. in California) and three children; Calvin Warren (6yo-b. April 26, 1923); Elaine Grace (3 yo); and Donald (0 yo). (FYI E. 14th St. was subsequently renamed International Boulevard and the former Hall shop is currently the home of an Earl Scheib Paint & Body shop). The 1940 US Census lists Calvin Sr. (39yo – occupation auto top trimmer) his wife; Myrtle Grace M. (37yo b. in California) and three children; Calvin Warren (16yo); Elaine Grace (13 yo); and Donald (11 yo). 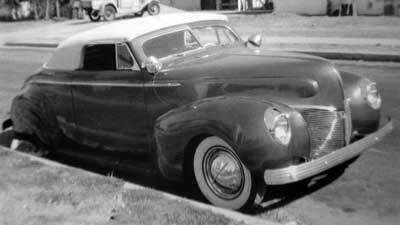 Hall was Northern California’s best-known top and upholstery shop, and numerous early regional hot rod builders like Sacramento’s Harry Westergard and Sam & George Barris entrusted him with fitting his hand-made tops and interiors to their early customs. 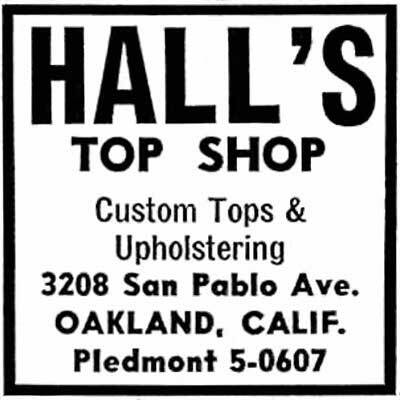 Pictures of Hall’s post-War padded tops reveal a similarity to the chopped tops being produced by Houser’s Carson Top Shop in Los Angeles although the two firms were unrelated. 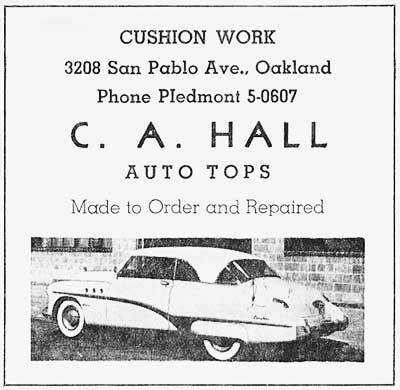 The Hall Auto Top Shop remained listed at 3208 San Pablo Ave in the Oakland City directories into 1957 after which the listing disappears. His son, Calvin W. Hall did not follow in his father’s footsteps, and after serving in the US Army Air Corps. during World War II enjoyed a long career with the University of California’s Lawrence Livermore Laboratory in Livermore, Calif.
Hall’s San Pablo Ave shop exists today although it was extensively remodeled by St. Mary’s Center in 2006 for use as a pre-school. Calvin A. Hall passed away on January 28, 1979 at the age of 77.